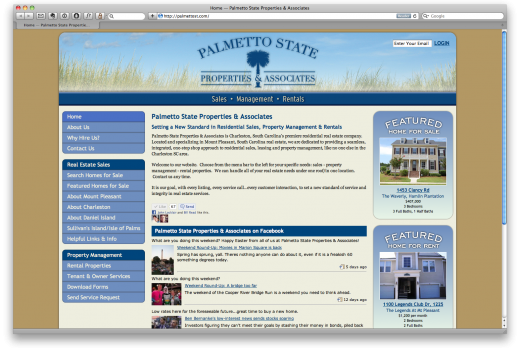 Jim Grady and Gary Short at Palmetto State Properties and Associates have created a unique and successful real estate sales and property management firm in Mt. Pleasant, SC. We have been privileged to assist them with their logo, print, signage, website and other marketing efforts. "John continues to be an excellent resource for our design and marketing needs for our branding and website. We have also used him for marketing on various levels. He is a pleasure to work with - professional; easily translates our thoughts & ideas into creative and effective designs - and he continues to be a valuable asset to our company."